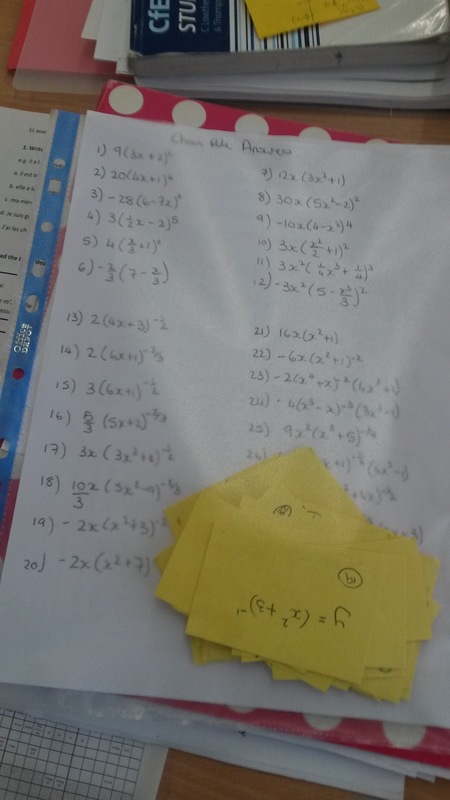 I recently shared on Twitter about a maths game I had played with my Higher class. We were practicing differentiating using the chain rule. This is a game I read about on Twitter previously but cannot remember where from. 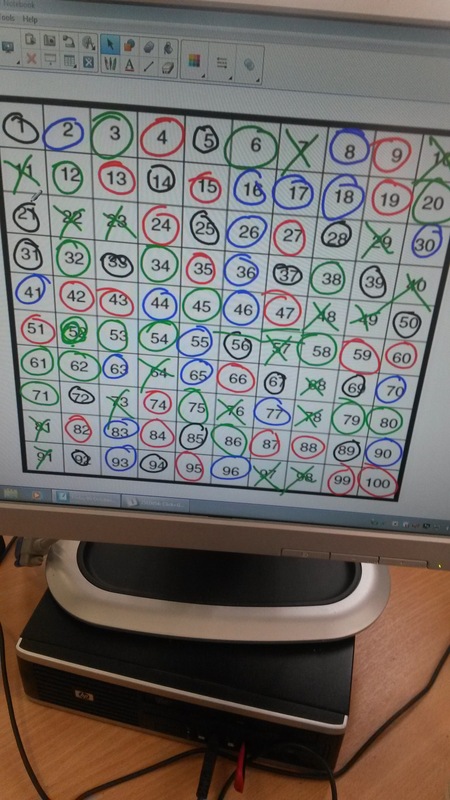 On the whiteboard I put up a 1 to 100 grid as shown below and choose one of the numbers as the winning number, which is written on a piece of paper and hidden away. I have a set of questions and answers prepared in advance (and all numbered to help marking). The pupils, who were working in pairs, take a question and work out the solution. They bring me the solution for checking. 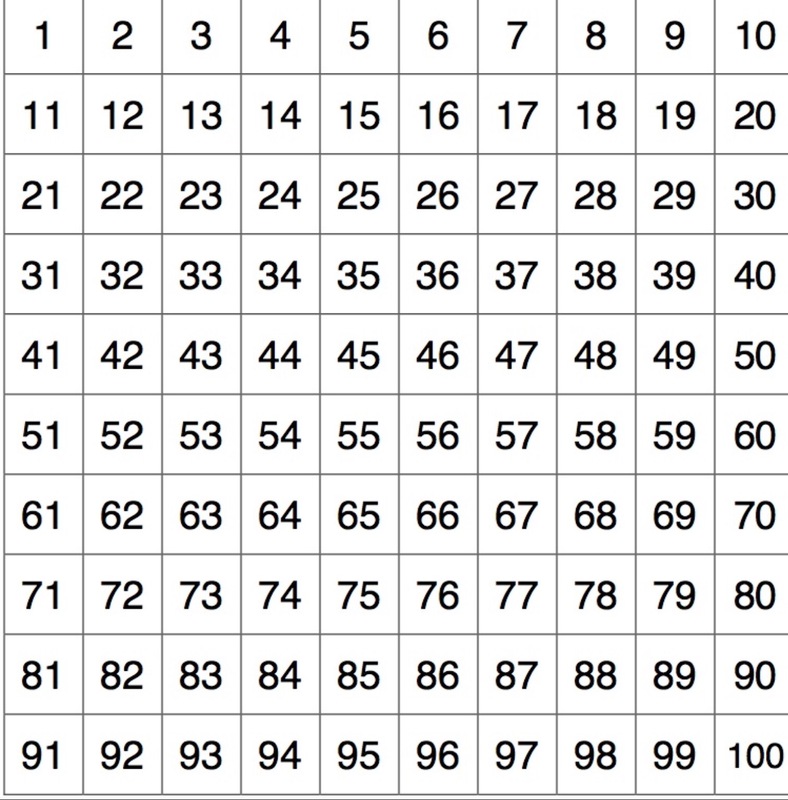 If it is correct they get to select a number on the 1 to 100 grid. Then they take another question. If the pupils answer incorrectly, they take the question back to re try. If still incorrect I will provide a hint. This continues until all the numbers are taken. The winning number is then revealed and a small prize awarded to the winners. I like this game as the more questions each pair answers correctly the higher the chance of choosing the winning number and I get to check every single question completed by the class. This allows me to see all the common errors and misconceptions. This game works well with a relatively small class as it can get quite hectic. I will definitely be using it again. It can be used for any topic at all. Here’s an example. Thanks will definitely be using. Do the different colors mean anything? The x’s vs. the circled questions? Only that the board only had 4 colours with easy access. So one team green circle and another green cross.